Â Gorgeous whole home remodel in the sought-after neighborhood of Nottingham Forest. 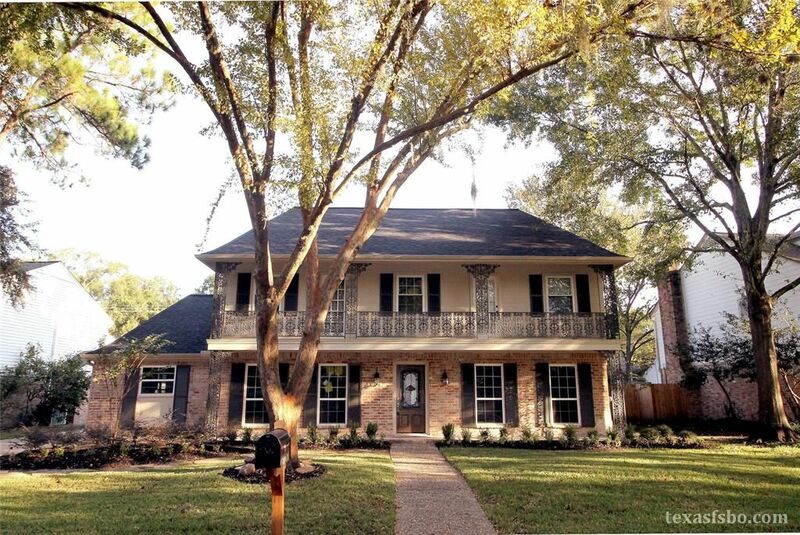 This stunning home has a restructured floor plan with updates throughout. New PEX plumbing, electrical re-wire, wood floors, custom cabinets built on-site, crown molding, recessed lighting, energy efficient windows, new doors, fresh paint, new front door & gourmet kitchen appliance package. Floor plan includes large living areas for entertaining, formal dining/kitchen and a living room that was converted into a guest bedroom. A redesigned master with master closet & bonus hidden closet. Kitchen offers new quartz countertops, cultured stone backsplash. The updated downstairs bathroom offers an amazing walk-in shower feature with new quartz tops, plumbing fixtures & lighting. Stunning backyard with pool & hot tub. Fantastic curb appeal with a balcony that stretches the entire front of the house, and newly enhanced landscaping, just minutes from the trails at Terry Hershey Park. Zoned to Spring Branch ISD!